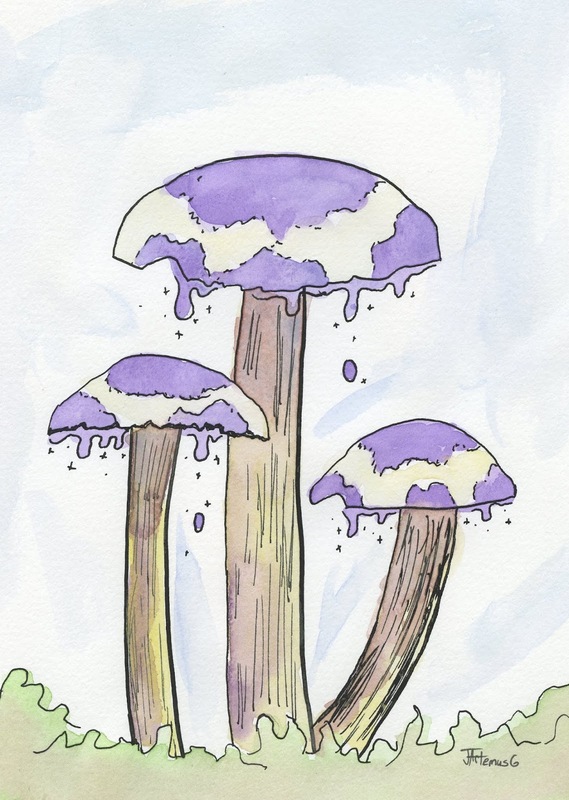 Songs of Eretz Poetry Review is pleased to present “Purple Polka-Dotted Mushrooms,” Part II of The Fairy’s Cave, an epic fantasy narrative poem by Charles A. Swanson. The poem will be published as a four-part series on successive Fridays in October. The first installment, “Elf Bolts,” and a biography of the poet were presented on October 5 http://www.songsoferetz.com/2018/10/the-fairys-cave-part-i-elf-bolts-by.html. trolling somewhere in the bowels of the earth. for Claudius barely skimmed the earth. So, no troll; no other troll did he trust. straw, and waited for mushrooms to appear. peeped into the cave, a fairy bed beckoned. Poet’s Notes for “Purple Polka-Dotted Mushrooms”: The story advances with the fairy’s desire to win the girl. That he can never have her, not in a physical way, does not stop his delusion. A bit of the restaurant, The Mellow Mushroom https://mellowmushroom.com, came into my mind as I dreamed how the fairy could work his mischief. The Mellow Mushroom creates an atmosphere of the psychedelic '60s. I breathe patchouli when I enter, whether there’s a real scent of it in the air or not. And I have to order pizza with mushrooms. It’s a given. With this poem, the narrative moves further into the fantasy realm and further away from the realistic and human dynamic of a boy and a girl at play. Trolls, purple-polka dotted mushrooms, and heightened senses of a supernatural nature all seem fair game. Yet the boy, the human boy, is the elf’s nemesis.